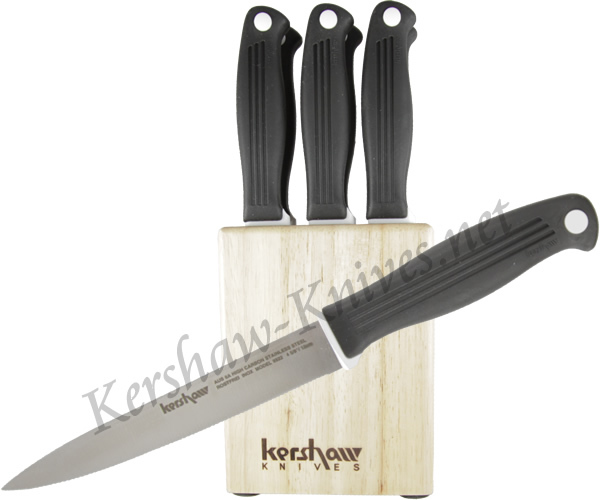 This set of Kershaw Steak Knives model 9922-7 comes with six knives and a wood holding block. Once you try these knives you will not want to eat your steak with any other knife. What is noticeable about these knives right from the start is their comfortable handles and their blade length. This grip and extra length gives you extra dexterity for precise cutting when eating your steak, adding more enjoyment to your overall culinary experience.